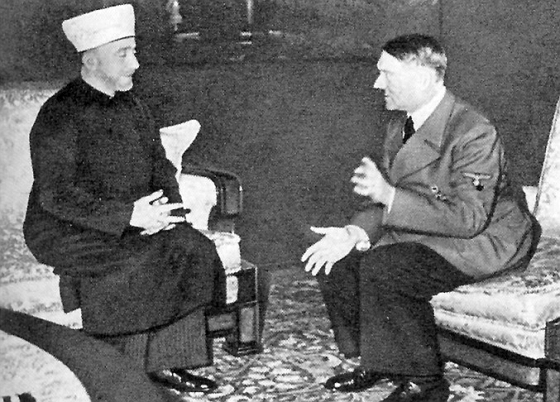 This latest piece of Muslim-bashing propaganda focuses on a picture taken of Adolph Hitler meeting with the grand mufti of Jerusalem, Haj Amin. The implication is that this meeting “proves” Palestinians are all closet Nazis. But, let’s look at some other photos. 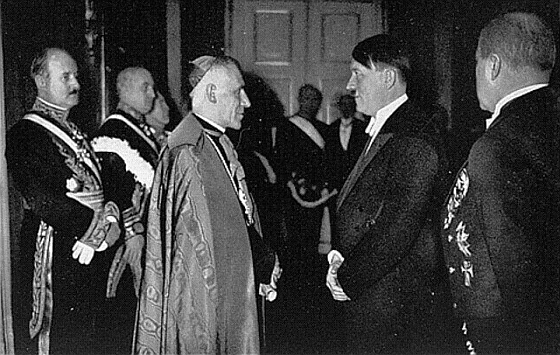 Hitler with Pope Pius 12th. Does this picture mean all Catholics are closet Nazis? 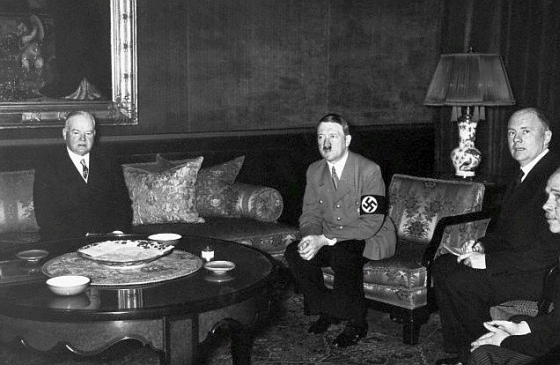 Hitler with King Edward and Wallace Simpson. Does this photograph mean all British subjects are closet Nazis? 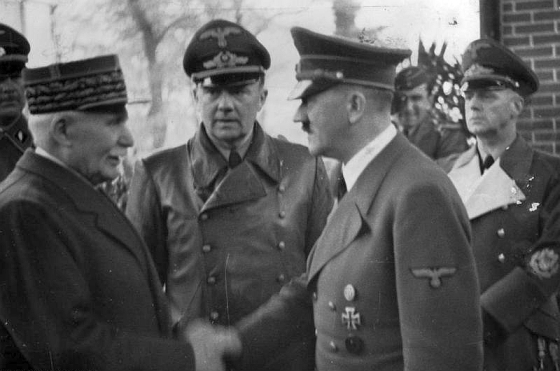 Hitler with France’s Henry Philippe Petain. Does this photograph mean all the French are closet Nazis? 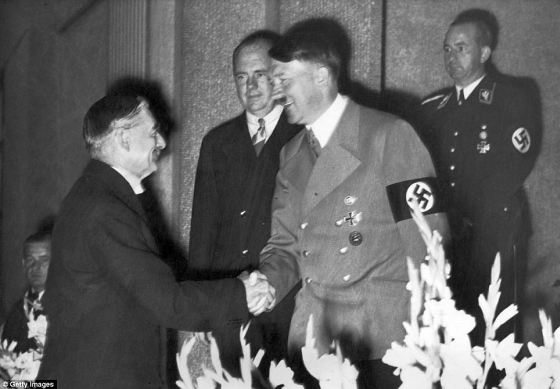 Hitler with British Prime Minister Neville Chamberlain. 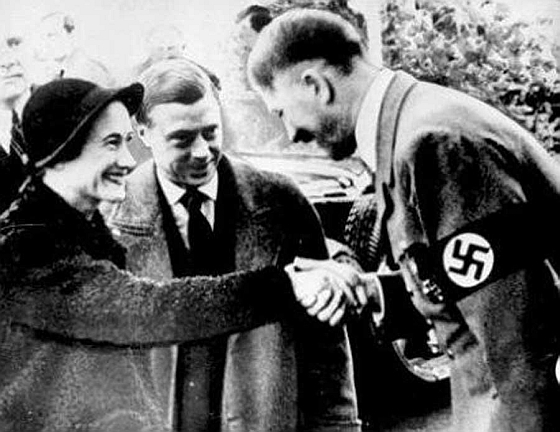 Does this photograph mean all British subjects are closet Nazis? Hitler with President Hoover. Does this photograph mean all Americans are closet Nazis? The fact is that as a head of state, Hitler was required by diplomatic protocol to meet a lot of people and have his picture taken with them. It is just part of the job. And as WW2 proved, not everyone Hitler was photographed with agreed with him. A permanent version of the above comment can be found HERE for ease of emailing and posting to social media.